Senior Editor (Style), Complex UK. By now, Ambush Design is a name you should be familiar with. Founded by Yoon and Verbal, the jewelry brand has become known for pieces that push the art form and fashion forward through a dedication to futuristic aesthetics, surrealism, new tribalism, and pop art influences. 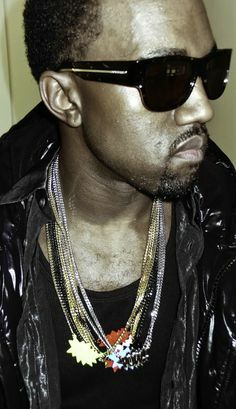 It&apos;s also famous for the POW® chains, rings, etc. made popular by everyone from Kanye West to Big Sean in the mid-to-late 2000s. But neither Yoon nor Verbal could have predicted this. Now based in Japan, Yoon and Verbal first met during college in Boston. At the time, neither had any link to fashion or jewelry design—Yoon studied graphic design, while Verbal majored in marketing and philosophy. Yoon admits that when she and Verbal started designing jewelry, they had no intentions of starting a brand. But, she says, "next thing you know, people wanted it and it just became what it is." 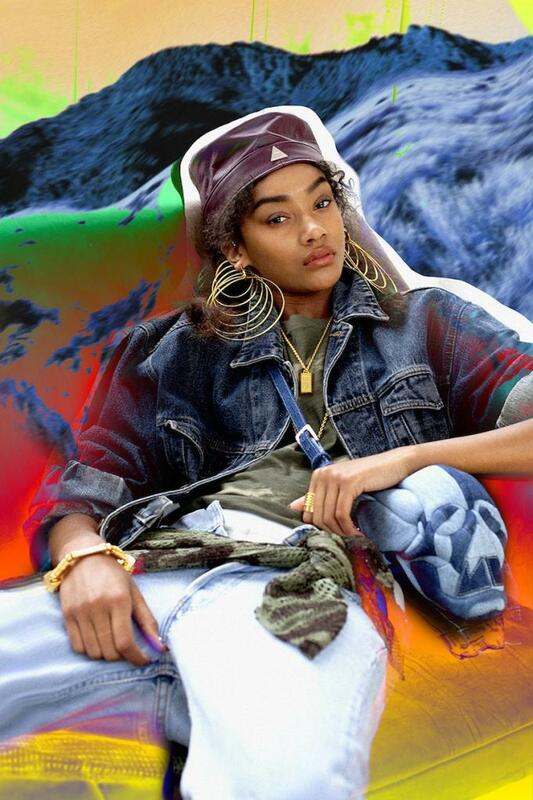 We caught up with Yoon, who recently starred in A$AP Rocky&apos;s "LSD" video, about the history of Ambush, how comic books and Kanye West inspired their first designs, and the connection between her brand and hip-hop. As told to Complex UK Style Editor Daryoush Haj-Najafi. For a lot of people who might not know that much about Verbal outside of the fashion label, he’s quite a big deal in Japan as a rapper, right? Yeah, he&apos;s part of the M-Flo crew and he was also part of Teriyaki Boyz now he’s more of a producer. What do the Teriyaki Boyz stand for in Japan? It&apos;s few years ago now, but basically Nigo, when he was still at A Bathing Ape, got a few of his friends together and formed Teriyaki Boyz. It was the first Japanese group to get signed by Def Jam U.S., and they worked with everyone from Pharrell to Kanye, the Beastie Boys and Daft Punk, even before Kanye worked with Daft Punk, so you know they were ahead of their time. You and Verbal started out doing fine jewelry? Yeah, when Teriyaki Boyz were active huge jewelry was big. Nigo was making these massive pieces, and Pharrell was doing his thing. 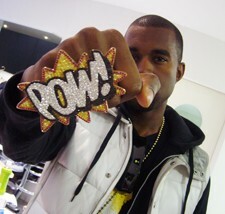 As a big fan of American comics, Verbal designed a ruby encrusted "POW" knuckle ring so he could make his own "POW" punch bubble like the ones you see when a comic book character hits someone, so his fist would "POW." The genesis of that first POW ring was the huge anime jewelry Antonio Murphy & Astro was making, but obviously the fans can’t buy real gold and diamond encrusted pieces so we wanted to do something the fans could afford. We were talking to Kanye and he was throwing ideas out like, "Why don’t you just coat that in paint or something?" We were like, "That&apos;s actually a fun idea and we were into neon colors," so we just coated the piece in neon pink and green and then we did gold and white versions and started to give the pieces out to friends just for fun. We weren’t trying to do a brand and next thing you know people wanted it and it just became what it is. I think Holy Mountain was the first collection that was really thought through. You&apos;ve worked with Cassette Playa designer Carri Munden, you have similar aesthetics and came up at the same time, did you feel like kindred spirits? We were Cassette Playa fans partly because the stuff is so graphic heavy. When we had the chance to meet Carri, we connected because we have similar taste, and we respect what she does. We did jewelry together, and Carri had her friend FKA twigs appear in the lookbook way before LP1 came out. You’ve worked with Pharrell and Kim Jones at Louis Vuitton too, right? Yeah, from 2008 until 2011 I worked on PR for Billionare Boys Club in Japan and every time Pharell would come over I would help him with his styling and and press work. We collaborated with Louis Vuitton on the PLAYBUTTON an Ambush-curated wearable music player. We&apos;re friends with Kim so it was a fun project to do, but it wouldn&apos;t have been possible without Kim behind us. We also run a consultancy. We&apos;re working on a project with Beats by Dre, and have worked with Japan&apos;s Amazon, Rakuten. We also have a small digital team that works on 3D mapping—a form of 3D projection—for events. Your background is graphics right, so who does what in Ambush? I do all the design, even down to the text layouts on a label. I also take care of the press and imaging and all that section. Verbal is more business, he majored in marketing and philosophy, so that’s why he is able to run the consulting thing. But when we work together it’s like all a big mishmash. Is it easy to create this kind of business in Japan? Right now we have about 12 staff members. If you have drive, and if you have connections, I’m sure you can do it anywhere. But it’s just like we happen to have a lot of ideas, and people &apos;round us are looking for ideas, so we want to provide for them. It wasn’t like one day we sat down and were like I think we should open a consultancy, it was just that a lot of people were asking us what we should do. We are able to work in so many different market segments partly because Verbal is an entertainer and with that comes knowing a lot of people, but also Verbal is a friendly guy so he has a lot of friends in the industry. I&apos;ve always been really into the street and underground stuff, so kids like Dettok aka D.TT.K I’d pick him up and put him in a lot of our photoshoots and those kinda things. As a rapper Verbal’s connected to a different street scene, and because we do the consultancy thing we also know the presidents of billion dollar corporations. It feels like we know everybody in Tokyo not just like this segment or that segment, and as I come form the U.S. we have friends there and across the world and it just all works out somehow. I’m not just saying this in a boastful way but no one knows everyone like we do, and that&apos;s why we can work like this. It’s quite weird to have a business head and be connected to what’s going on. In the early 2000s Verbal’s style was not what Hip-Hop was about, so what gives Ambush it’s vivid mass appeal? If I can over simplify, I think as a genre the hip-hop world likes being loud in every way, like the way you look, the way you carry yourself, your message. It&apos;s all about projection, you know what I mean? Our style was louder back then, we just didn’t care, and on a subconscious level people could relate to that then. That&apos;s carried forward to today.